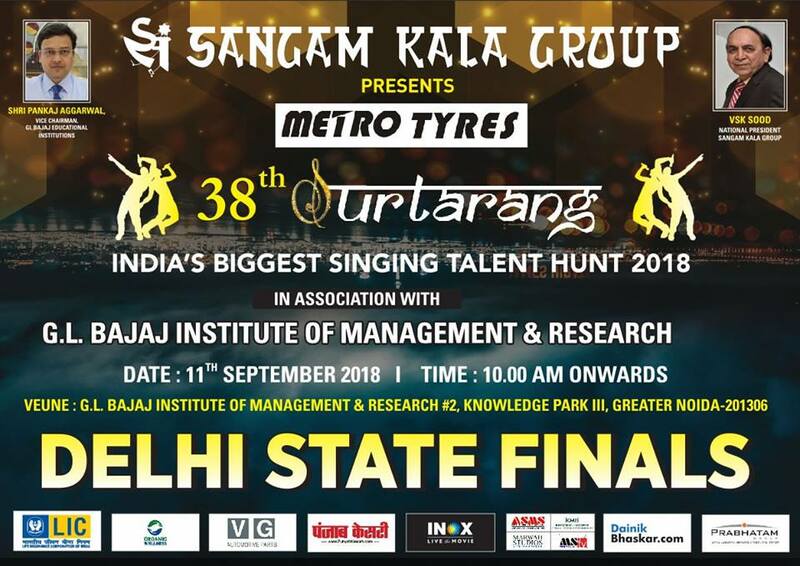 GL Bajaj Institute of Management and Research (GLBIMR), Greater Noida is hosting the Delhi State Finale of the Country’s most acclaimed musical show, 38th Surtarang- National Talent Hunt Program by Sangam Kala Group, at its Greater Noida Campus, on September 11, 2018. The Chief Guest of the event will be Mr. Pankaj Agrawal, Vice Chairman, GL Bajaj Educational Institutions. The gala event is organized under the guidance of Dr. Urvashi Makkar, Director General, GLBIMR. The celebrity guests for 38th Surtarang- National Talent Hunt Program are Mr. VSK Sood, National President, Sangam Kala Group, Mr. Shahid Waheed Khan, Vice President, Sangam Kala Group, Mr. Sunil Rajoria, General Secretary, Sangam Kala Group, Mr. RS Shukla, Vice President, Sangam Kala Group , Mohit Chopra (Indian Idol Fame), Shreya Basu (The Voice Kids Fame), Alankar Mahtolia (Rising Star Fame), Manas Mishra (Renowned Singer), Kshitij Mathur (Classical Vocalist), Padmaja Chakraborty (Classical Singer) and many more highly acclaimed personalities. 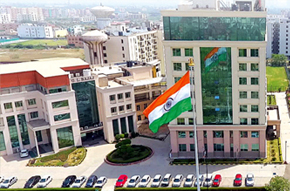 GLBIMR is all set to welcome the guests and participants and we look forward to the grand success of this event.